For most of us, middle school was the time of awkward growth spurts, make-ups and break-ups, and a whole load of fun. Although we were (kind of) interested in learning more about the world and passing our tests, we spent most of our time waiting for recess, lunch, and after-school activities. Whether you were a chess club enthusiast, a swimmer, a basketball player, or a football player, we all know there was nothing better than working together as a team to defeat your enemies and rise to the top of your ranks. But what if there was more to these sports than simply winning? American football is one of the most popular sports in America, with young boys and often girls learning the rules and practicing their craft from a young age. 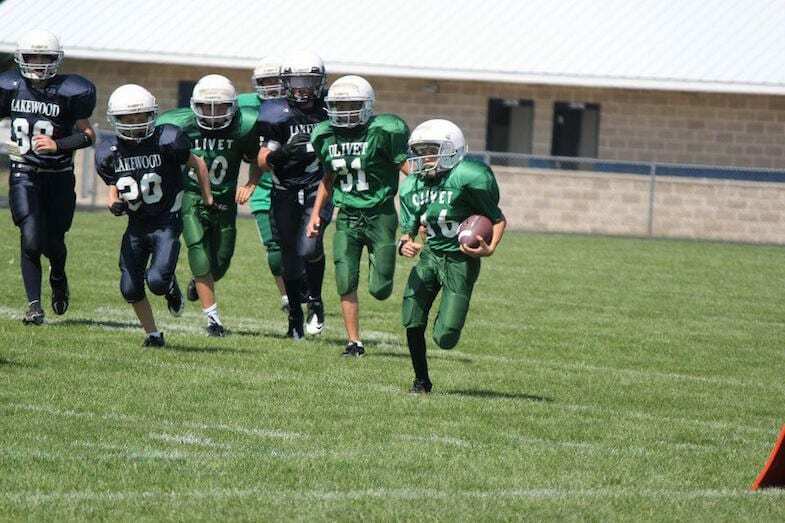 Because of this, middle school football is so much more than a game. If you do well at middle school, you’ll get chosen for the team in high school, and if you excel in high school, you may get scouted for a college scholarship and play with the pros – so there’s rarely any messing about. However, this isn’t always possible for people who are less abled, and the chances of winning a football match, let alone playing one, is slim to none. 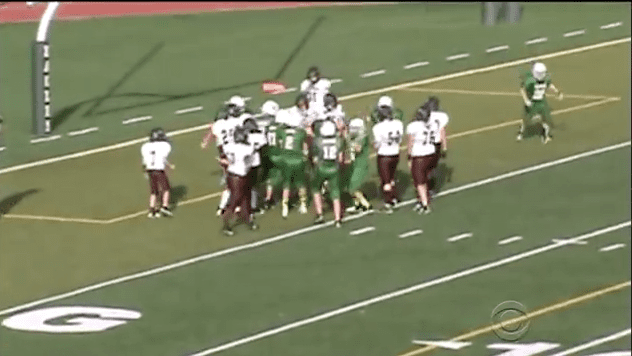 However, one middle school football team decided to defy their coaches and go their own way during one football match in 2013. They enacted their own rules, they purposely refused to score, and they made the crowd turn against them. But when you see why this team decided to do so, you’ll see why their actions meant more than a simple football match. 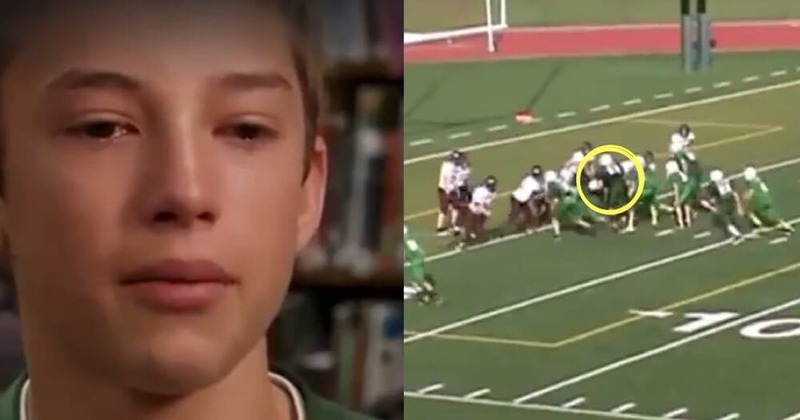 Check out this story of how one middle school football players executed a life-changing play that turned the life of one individual on its head. 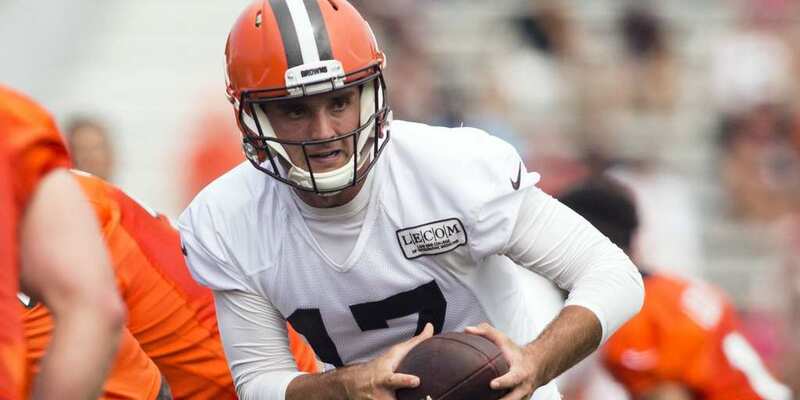 Like many middle schoolers, Keith Orr had a dream of one day being a professional football player – but he wasn’t like the ‘cool’ quarterbacks at school or the popular kids in the canteen. Instead, Keith lives with a learning disorder that often makes socializing difficult. Although he was a part of the Olivet’s football team, he had never once scored a touchdown and felt more like a hindrance than an asset. But one day, an unexpected change of play would change his life forever. 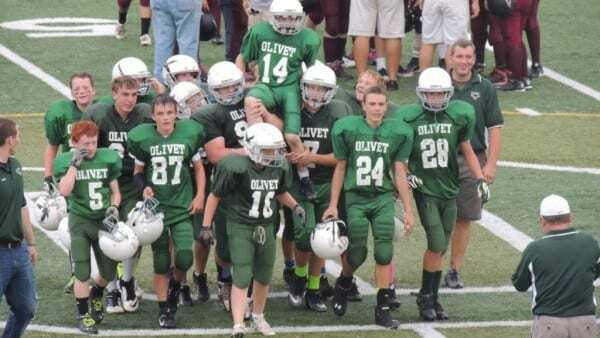 The Olivet Eagles are the school football team for Olivet Middle School in Olivet, Michigan. This middle school is part of the Olivet Community Schools initiative and comprises of an elementary school, middle school and high school in the small Olivet region. As a relatively isolated town, everyone at these schools knows everyone. In fact, there are only around 500 students at the Olivet Middle School – which makes incidents like this stand out even more. 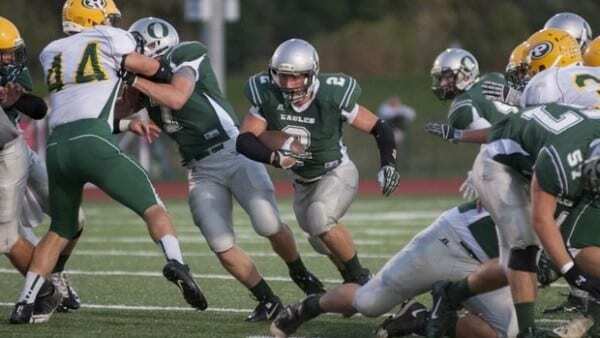 In 2013, the Olivet Eagles were in the midst of a relatively successful football season – and were getting themselves ready for an upcoming game. However, most of the football team weren’t setting themselves up for a win. Instead, they were planning and new and remarkable play that would change the life of one particular student on their team. They hoped their new scheme would show that particular student how much he meant to them all. Almost everyone on the team was in on the new and improved plan for the upcoming game – apart from the Keith Orr and their coaches. Although the boys knew they were being dishonest as they went behind their superiors’ back, they wanted to do this life-changing play for themselves. They knew it was a crazy idea, but they had a good feeling that the whole thing would work out, even if they did have to defy their coaches to do it. Of course, the Olivet Eagles knew their plan would initially not go down well with their coaches and their fans. The main aim of any football match and any team is to win a match and score as many touchdowns as possible. The team had always been taught how to score, and how to get the most of a match – they had never been told not to score. However, they knew this new play would make someone’s day, and that was enough for them. So what was their play? Well, the Olivet Eagles had thought everything through to the tiniest detail and planned the whole match. In fact, they had planned two plays. 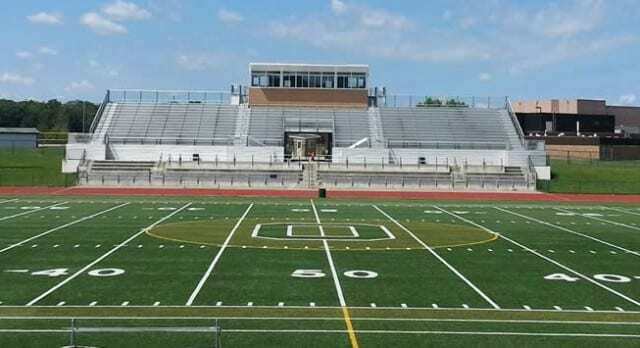 During a home game at the middle school stadium in October 2013, the Olivet Eagles’ first play was to get as close to the goal line as possible, without scoring. 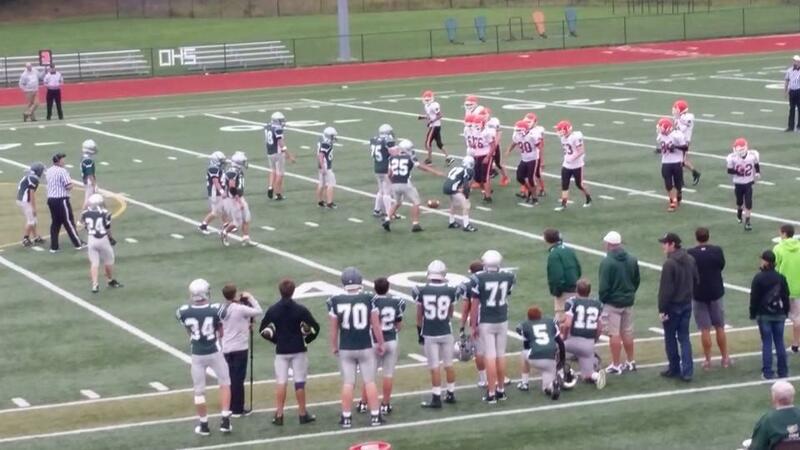 To do this, they even dove at the one-yard line – and the crowd was not happy with this apparent mistake. 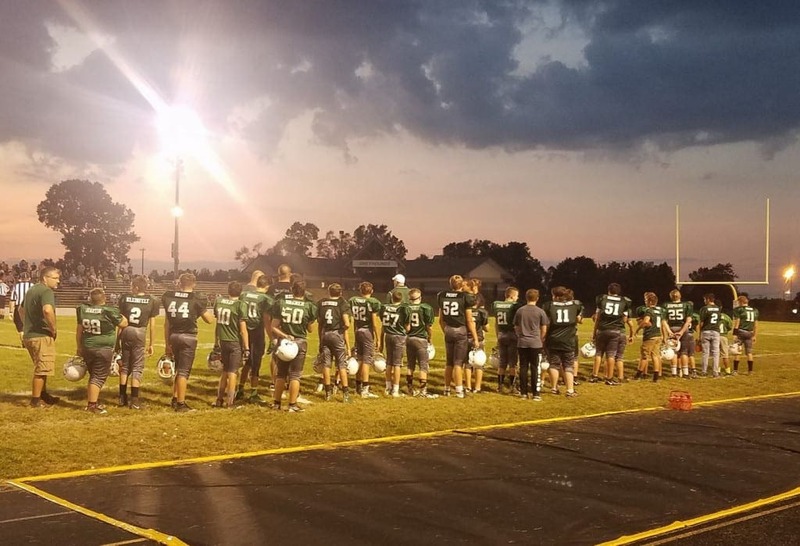 As the crowd watched the Olivet Eagles make blatant mistakes, they started booing the players and letting them know they weren’t happy with their play – after all, they had come to watch the Eagles win. Despite this burgeoning pressure from the crowd, the team knew they were working towards the greater good. So, the Eagles continued with their second play. 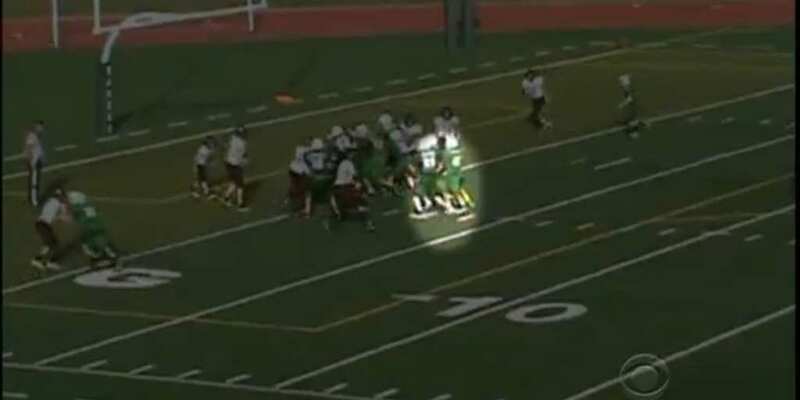 Now close to the touchdown line, the players protected one of their lesser-known players so that he could score his first ever touchdown. 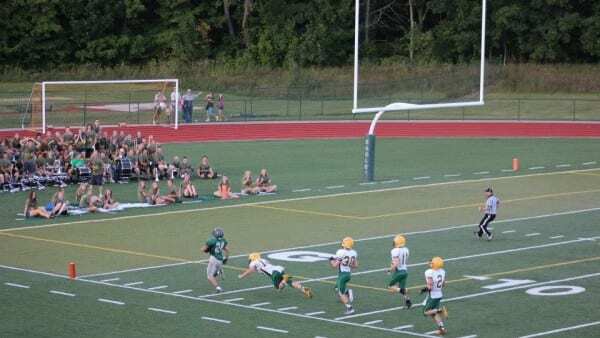 Despite their blatant diversions, the Olivet Eagles had scored a touchdown – and the crowd forgave the team, especially when they realized what had happened. The team had purposely adapted their play to let one of their weaker players have the time of his life, and steal the show. As they pieced the pieces of the puzzle together, the crowd went wild and celebrated extra loudly for the football player. But who was the teammate in question? The lucky Olivet Eagle was a player by the name of Keith Orr. 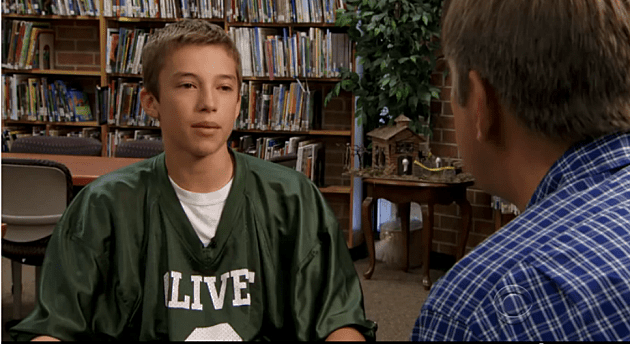 As a fellow middle school student at Olivet Middle School, Keith Orr was different to the rest of the team. From an early age, Orr had been diagnosed with learning disabilities. Part of his condition meant that he struggled in social situations, and would struggle with social boundaries. Nevertheless, he tried his best to fit in with the rest of the school – especially the football team. In fact, Keith Orr was an incredible friend to those on the football team. Rather than being socially awkward, he was the opposite. Keith could not comprehend social boundaries and would hug the football team at every opportunity. However, the football team did not bully or tarnish his reputation in any way. Instead, they simply got on with him and understood that he wasn’t one of the coolest kids in the school. He had acquaintances, but he never really had any friends. Like many learning disabled individuals, Keith Orr did struggle to fit in at Olivet Middle School. Although he was always nice to everyone, his struggle with social boundaries and his struggle on the football pitch often meant he was excluded from the team and the rest of the school. However, the football team soon noticed the divide between Keith and his peers and wanted to do something to change that and bring him into the limelight. So that’s what they did. 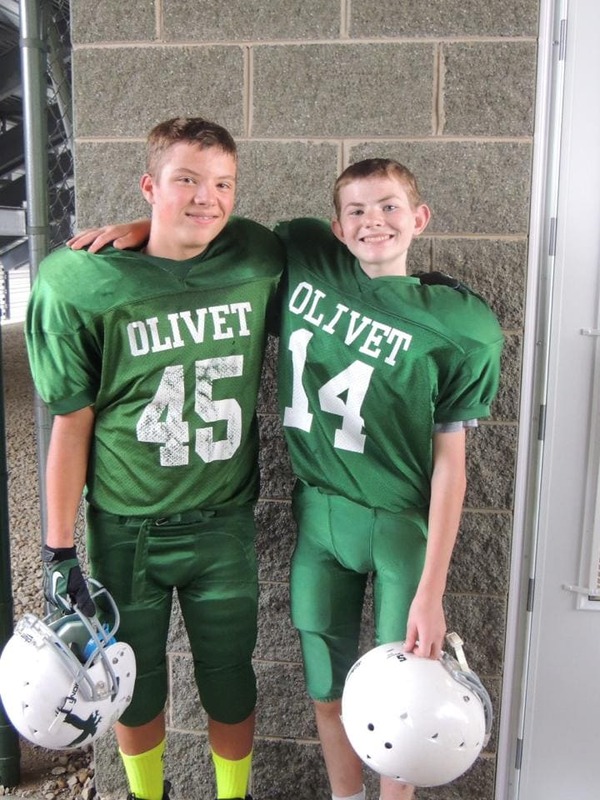 As a successful middle school football team, the Olivet Football Team had scored hundreds of touchdowns over the course of their run, and many of their players knew the happiness and the pride that came from scoring your own points for the team. Although Keith had been a member of the Olivet Eagles for many years, he was normally left out of the main action, and had never scored a touchdown before. They wanted Keith to know exactly how it felt to score in a real match. Their decision to cover Keith during their play and allow him to score was not something they had decided there and then. Instead, they had planned the whole thing behind their coaches backs – and behind the back of Keith Orr himself. Keith was simply expecting to play as he normally did, and help out when he could. Like the audience, he was confused to see how the Eagles were messing up their own game, but soon realized what they wanted him to do. 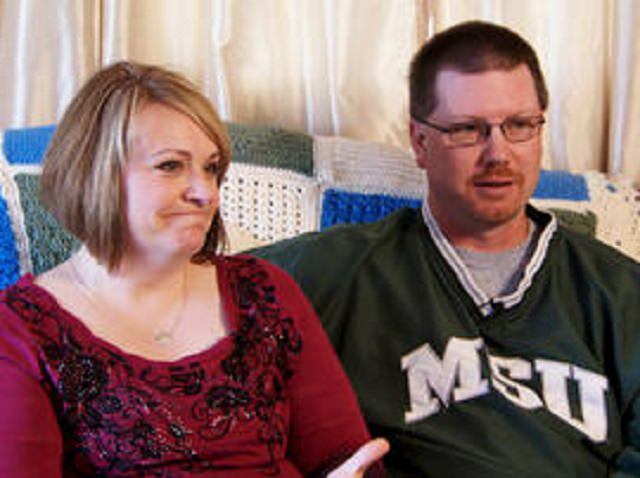 Among the audience members in the Olivet Eagles stadium was Carrie and Jeff Orr – Keith’s parents. The couple made sure to attend every single one of Keith’s football matches, and assumed, like Keith, that he would be put to the back and be a part of little action on the football field. Because of this, they were overwhelmed to see that their son had scored a touchdown. To start with, Carrie didn’t believe it, and Jeff struggled to find his camera. But as the crowd cheered, they knew what the team had done, and what Keith had done. 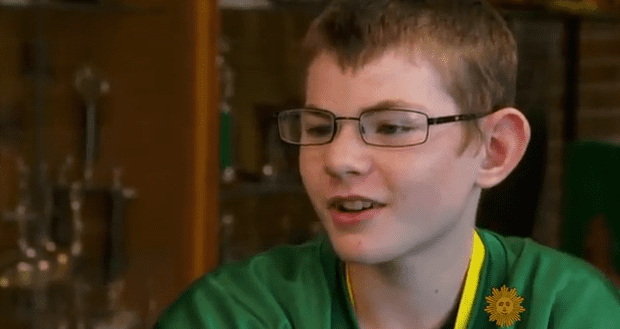 Jeff and Carrie were incredibly touched by what the Olivet Eagles had done for their son – and knew that the touchdown would not only make his day but make his entire year. However, they were also touched by the action, because they knew a mark of respect had been placed on their son. From now on, they knew that the team and the rest of the school would always have his back. He would no longer be teased, or bullied, or excluded. Instead, the football team would look after him. After the game, Keith Orr became the new cool kid at school. Thanks to the football team’s acceptance and his newfound fame on the football field, Keith no longer sat by himself at lunchtime and found a new bunch of friends. This acceptance seemed to do wonders for his learning disabilities, as he became even more confident about himself and his abilities. 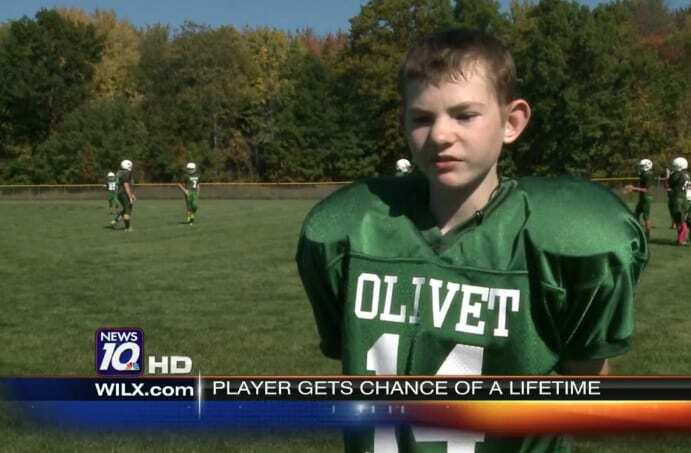 The Olivet Football team had changed his life, and he would be forever grateful for that fact. However, their decision to change their play did not only change Keith’s life for the better. In fact, the decision to let Keith score their touchdown and his reaction had a profound effect on the other members of the team, who had no idea their action could mean so much to one person. After the match, Keith had the biggest smile on his face, which made them realize it’s the little things that count, and that some people just want to feel accepted. One of the players who benefited from the experience was Justice Miller – the wide receiver for the Olivet Eagles. Through their new game of play, Miller learned just how important friendship and being kind to people really is. He can’t believe their decision has had such an impact on one singular person and would do it again in a heartbeat. Through this experience, he has learned to be kind to anyone, no matter their social standing or abilities. However, in a later interview, Justice Miller confirmed that the whole play was not his idea – but rather, it had come from another player in the Olivet Eagles. He noted that he would never think of an idea like that because he only really cared about himself back then. But this experience has taught him that only thinking about yourself will get you nowhere and has also taught him to care about everyone – something he is now trying to do every day. After the event at the football game, videos, photographs, and recollections of the event swarmed on social media. Soon, their story had been shared and become a viral sensation around the area of Olivet, Michigan. All of the students at Olivet had a newfound respect for Keith, and the football team couldn’t walk the hallways without a handshake or a ‘congratulations.’ The school called it one of their most successful, and popular football plays of all time. 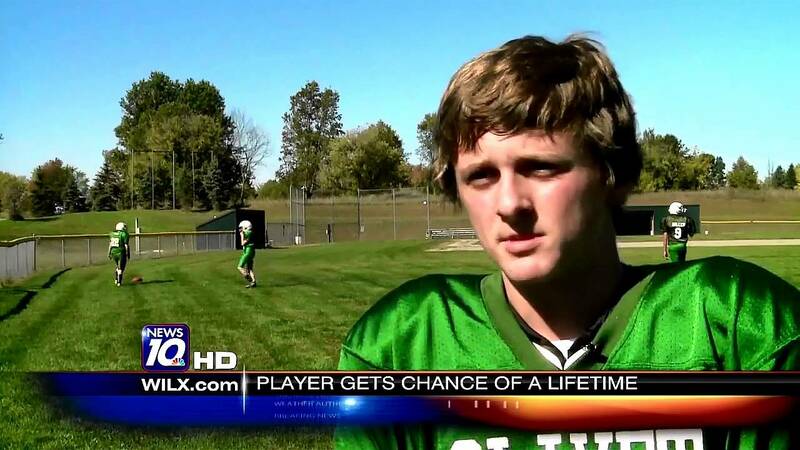 Soon enough, the story of Keith and the Olivet Football Team became so popular the national news stations couldn’t ignore it any longer. The story was picked up by CBS, and Keith and the other team members were interviewed for a special segment. The school and the team viewed this as an honor, as they just believed they were doing something nice for one of their friendliest players. They didn’t expect such an incredible response. However, CBS did much more than simply share their story with the rest of the world. In fact, they chose the Olivet Eagles’ special play as their Football Play of the Month, which gave the team major exposure. They soon had an onslaught of messages about their incredible achievements, and Keith was inundated with praise and congratulations. After struggling to fit in for years, he finally felt like part of the school and team community. But of course, the recognition didn’t stop there – it was just beginning. After receiving masses of comments and exposure, the Keith Orr story was becoming increasingly popular. As people learned more about Keith and the team, they knew the team needed even more praise for what they had done and the effect it had one everyone’s lives. 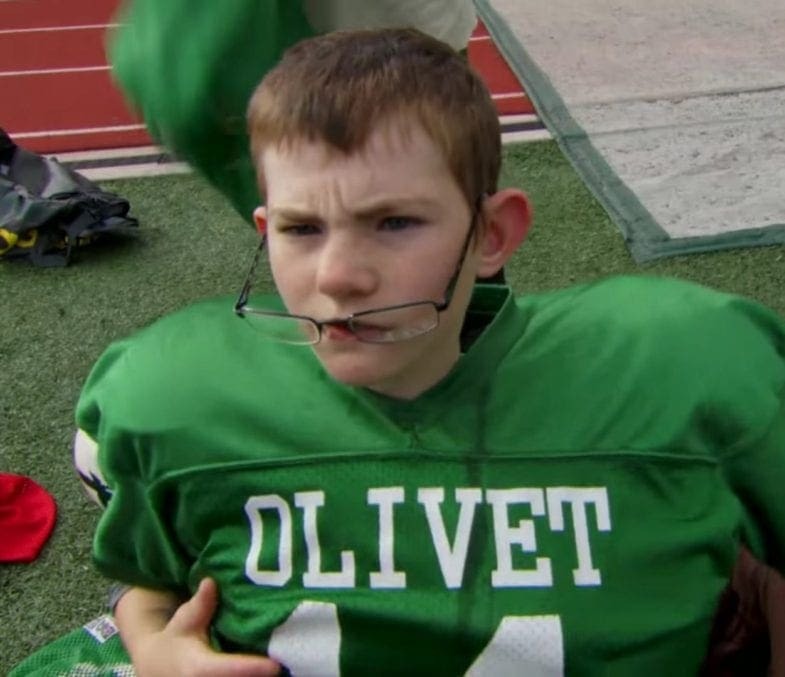 So, CBS and the general public decided to call the Olivet Eagles’ special and detailed play the ‘Keith’ play. 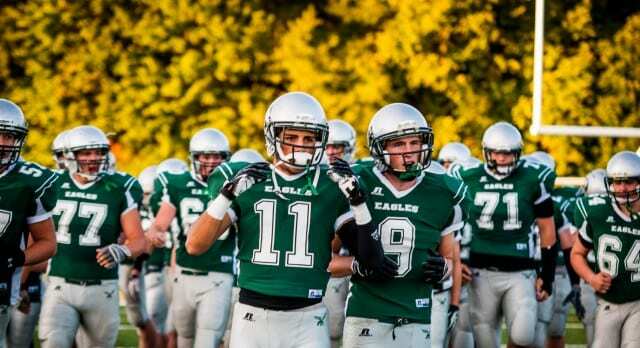 As their story grew ever popular, the Olivet Eagles football team were in high demand. After their initial CBS debut, they were asked by numerous news stations to take part in interviews and special reports. Although they were reluctant, there was one offer the team just couldn’t refuse. 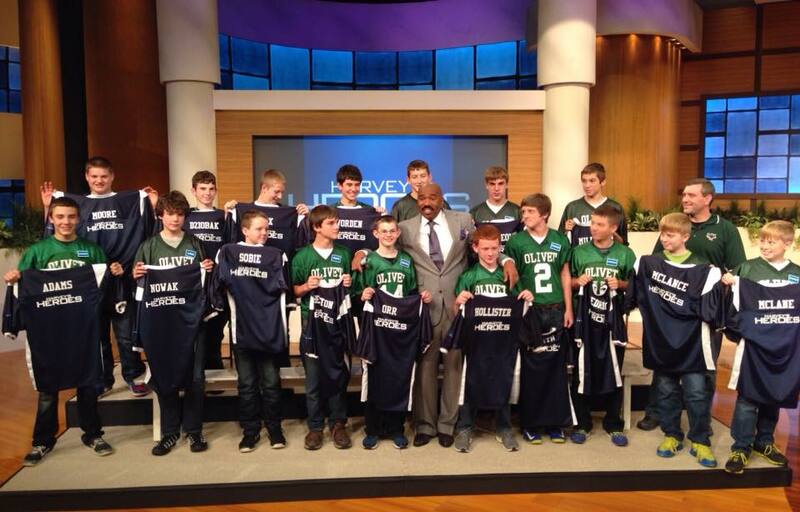 So, in November 2013, the Olivet Eagles team traveled across the country to appear on the Steve Harvey Show, where they spoke about their game and the response from their actions. 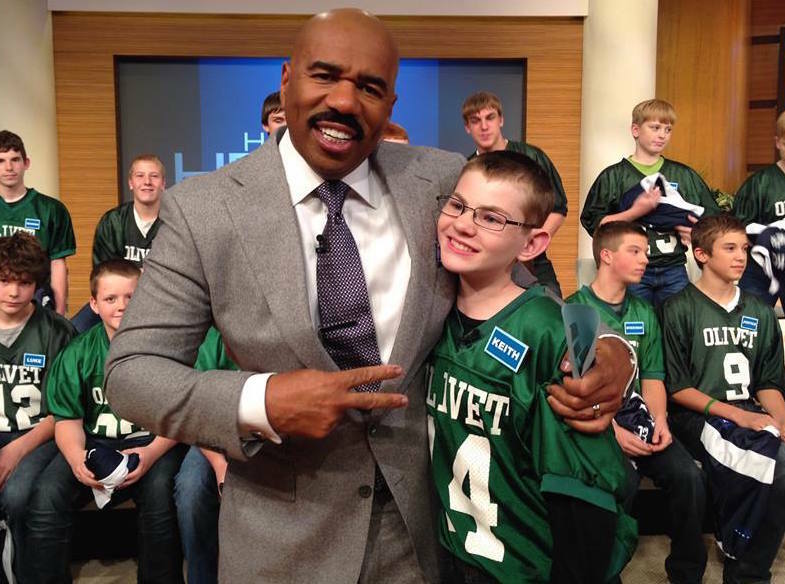 After their appearances on CBS and the Steve Harvey Show, the Olivet Eagles were asked to make a special visit to another football team. However, this wasn’t a rival team from another town; it was the Detroit Lions – one of Keith’s favorite football teams. The whole team got to meet the Lions and talk to them about their story, and also watch them play. The Lions gave them tips on defense and tips and tricks to continue winning their games. However, their honorable visits didn’t stop there. A few weeks after their record-breaking game of football, the Olivet Middle School football team were invited to the Capitol by none other than the senator from Michigan, Rick Jones. Senator Jones was extremely excited to meet the 8th graders, and called them utterly ‘selfless.’ Jones paid for the team to visit the Capitol and even laid on a pizza party for the teammates – something they’ll never forget. In Olivet and the surrounding community, Keith Orr’s name is famous. His story has taken over the town and made him one of the most desirable and popular kids in the area. Now, he has even more people to hug, and even more people to hang out with. 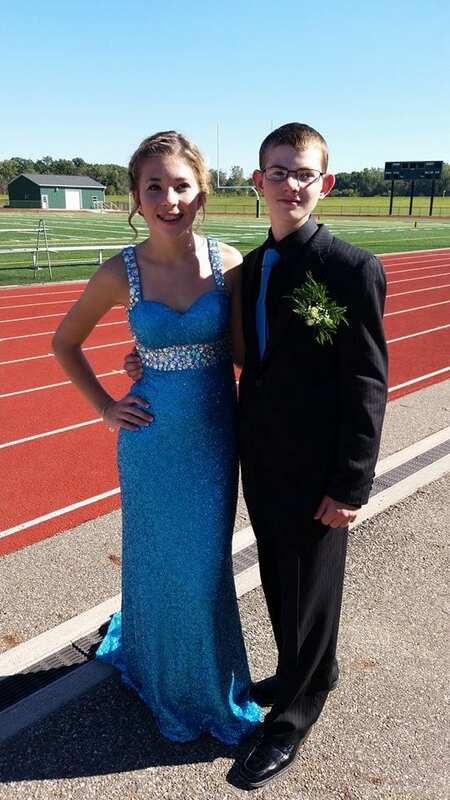 As one of the most popular kids in school, he managed to score himself a date to the prom and is now living the life with some of his best friends on the football team. He is truly thankful. Keith’s fame came to light a few months after the event, when one of his team members created an official Facebook page for the football star. According to one of the posts, the team member had received numerous requests to create a page for Keith so that he could update the world on the events in his life, and share photographs of his life in the limelight. Although the page only has 87 likes, the page is full of loving stories from followers who have known the kindness of Keith’s heart. 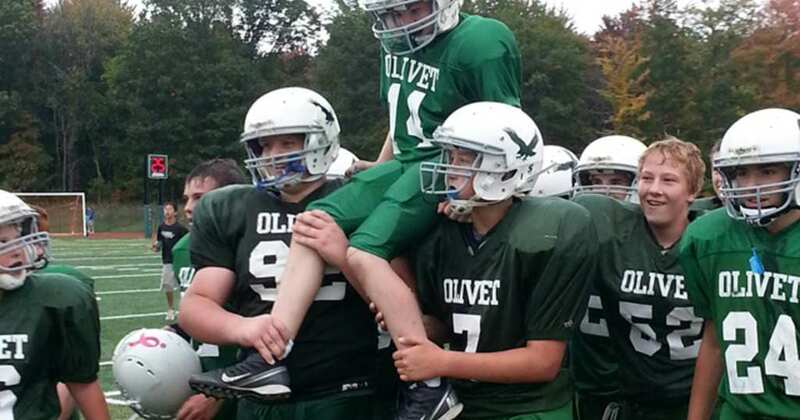 The story of Keith Orr and the Olivet Eagles is one that will truly bring a tear to your eye. This story shows how a small gesture of companionship and friendship can change the life of someone who has never really fit in and struggles with normal social constructs. Now, Keith Orr is a local celebrity and feels happier than he ever has before. Want to know the best part? Keith Orr scored his first touchdown!